SpaceX is Officially Sending a Space Tourist Around the Moon! In a Twitter post, SpaceX has made this very important announcement. Apparently, the company is withholding the name of the new “customer” and space tourist until Monday, September 17th, which is probably allocated time for them to warn their significant other of what had to be one hell of a purchase. Along with the Tweet, Musk cast shade over the prospect of it being himself. One Twitter user asked if it would be him and he responded with nothing more than an emoji of the Japanese flag. So, if you’re wondering, just look for a list of the most wealthy businessmen from Japan, and you’ll probably narrow down your guesses pretty significantly. Some Twitter users have suggested Takemitsu Tajizaki, a big tech guy from Japan, while someone else suggested Daisuke Enomoto, a businessman that was supposed to be the fourth space tourist – obviously, a very likely candidate. On top of the news, SpaceX also showcased a new rendering of the BFR as seen above. Pretty cool, huh? There’s a new tailfin in place, and the wings appear to be much larger as well, two huge developments in terms of what we can expect from Elon’s Big F’n Rocket! 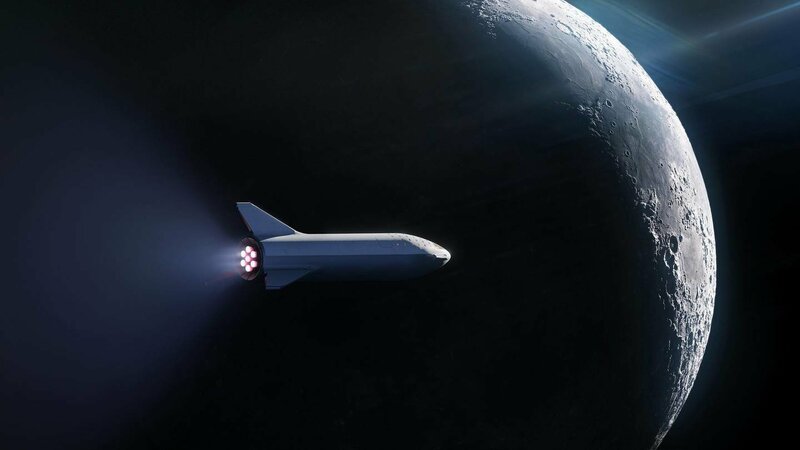 Vehicle Traveller SpaceX is Officially Sending a Space Tourist Around the Moon!